Ideal start date: June 17, 2019. 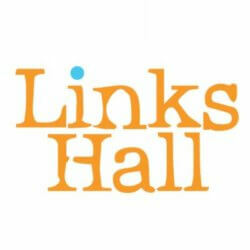 Links Hall is an equal opportunity employer and seeks diversity in its workplace. For over 40 years, Links Hall has been an artist-centric workspace and venue for the development and presentation of those taking risks in the performing arts, especially in contemporary dance, performance art, puppetry, social practice performing arts, and multi-disciplinary work. Links is dedicated to making the intentional choices necessary to achieve equity. Six years ago Links began a new chapter, moving to a shared space with music presenter Constellation. Last season, Links produced 200 evenings of performance on site across 90 separate bills including half a dozen festivals. Links offers a spectrum of programs to serve the artistic community including: affordable rental space; mentored and paid artist residencies; institutional and financial support for artist-curated performance series; and education for artists and audiences. Links Hall actively partners with other local and national arts organizations, including the National Performance Network. Job Categories: Arts and Culture. Job Types: Full-Time. Job Tags: culture, director, fund-raising, performing arts, and staffing. States: Illinois. Job listing expires in 11 days.